Being a successful graphic designer is no mean feat! In fact, it takes a lot of creativity, patience and skills to emerge as a winner in in the world of graphic designing. But only acquiring necessary skills does not guarantee success as a designer. It is vital for one to constantly sharpen creativity and nurture critical thinking skills to cope with the constantly changing designing trends. 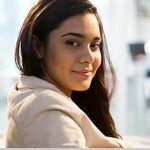 And to stay updated and ahead of times, it makes sense to heed useful online resources such as blogs, tutorial, videos and the latest news from the designing world. Here’s a little smattering on 5 useful online resources for graphic designers who wish to unleash their mojo. Adobe’s Kuler makes it easy to pick out complimentary color schemes for different graphic designs. This brilliant resource allows graphic designers create, mix and match any number of color schemes that can be saved, shared and exported as creative suite swatches. Kuler is one of the easiest to use tools. No wonder, it has been ruling the hearts of graphic designers from worldwide. By simply moving the color dots around the wheel, you can select and save a host of complimentary, monochromatic colors, analogous, triad, compound, shades or custom colors. 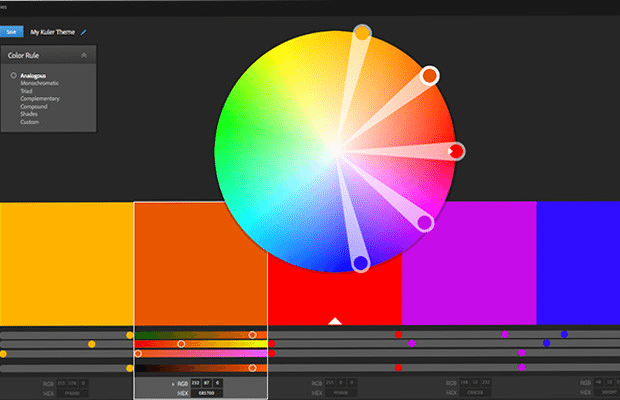 In addition to the wide range of colors, Adobe’s Kuler also provides a staggering variety of interesting themes to choose from. Founded in 1989 in Berlin, FontShop is considered to be the first ever independent reseller of digital typography. Replete with lovely typefaces, FontShop boasts of an astounding selection of more than 100,000 fonts derived from dozens of sources. From stencil to sans serif and modern, you can find a host of different styles with a simple search by keywords, categories or by popularity. With so much and more on offer, it is no wonder why FontShop remains the top choice for most designers who look for unique and interesting fonts. 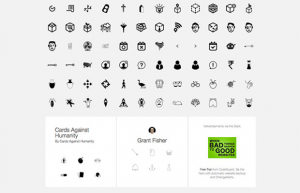 Fondly dubbed as the online Mecca of Iconography, The Noun Project is an easy –to-navigate website that brings together and assorts stimulating symbols and icons that are created and uploaded by graphic designers from their graphic design jobs worldwide. The Noun Project is a highly helpful resource for those seeking creative inspirations or awe-inspiring stock icons. This website also allows icon designers to put up their creative icons for sale. Quite expectedly, millions of graphic and icon designers from across the globe pin down their faith on The Noun Project when it comes to simplifying communications through icons. Fontface Ninja is yet another useful resource that constantly ranks high on the popularity charts amongst designers from across the globe. 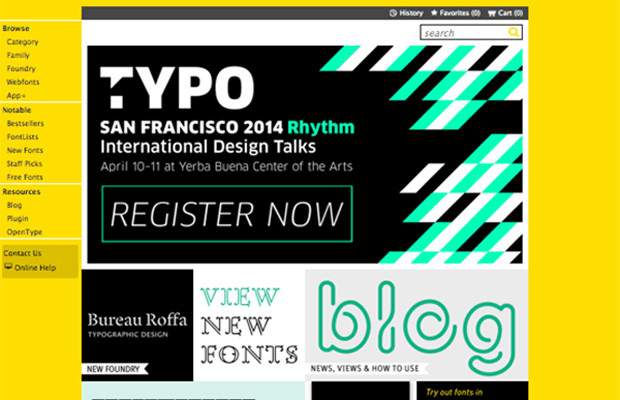 This fabulous web browser extension lets users to easily identify the different fonts on the Internet. This amazing web browser extension also allows users to dabble with the different fonts after showing the name, size and spacing of it. 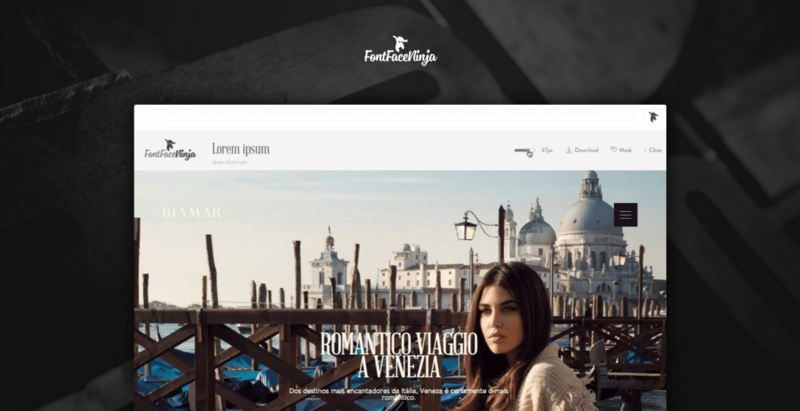 In addition, it can also hide the images in order to focus exclusively on the font. So if you’re a Font fanatic, do well to use Fontface Ninja to identify different fonts in a jiffy. Quite on the same lines like Fontface Ninja, Typophile is a user-friendly website that allows you to identify the font that you like. 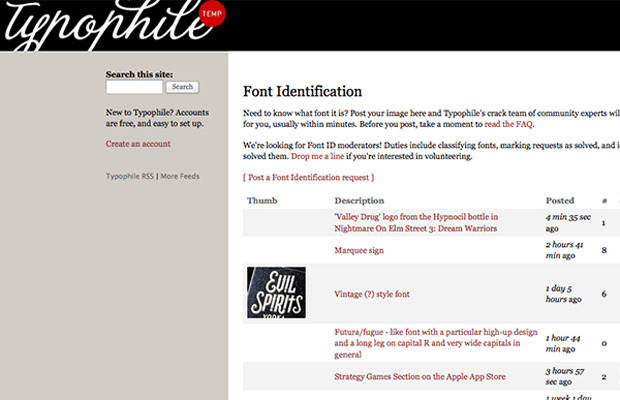 With a staggering range of users and font experts available on Typophile, identifying a particular just a few clicks away. 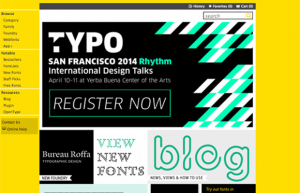 This site aims to help designers identify fonts and learn about new typefaces in no time. All in all, the amazing website is one resource that allows you to explore, experiment, share and get applauded.